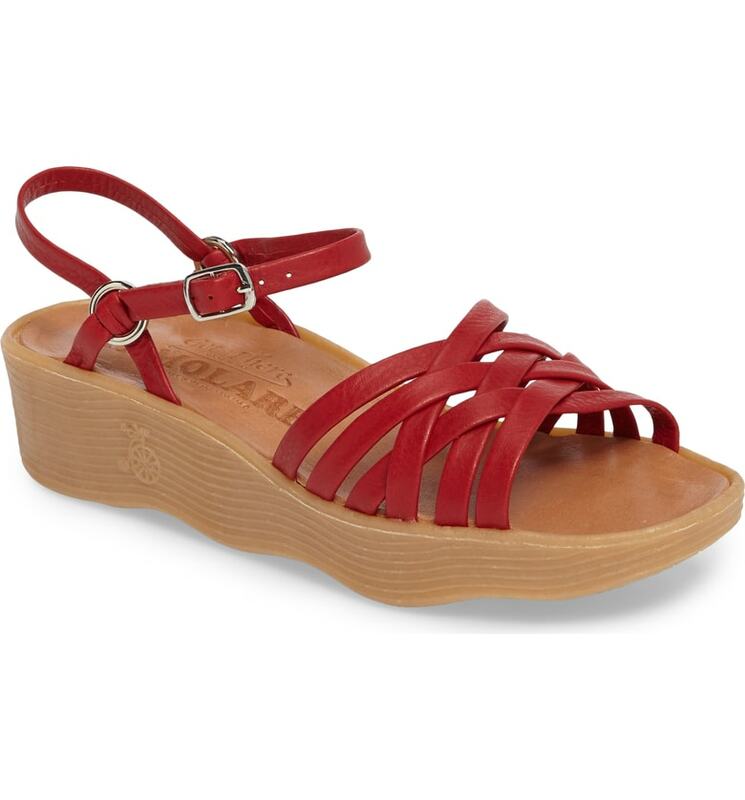 In truth, low-heeled sandals have been having a moment for a little while now, and I really want my eye to get used to them, because they make so much more practical sense than some of the shoes I clomp around town in. 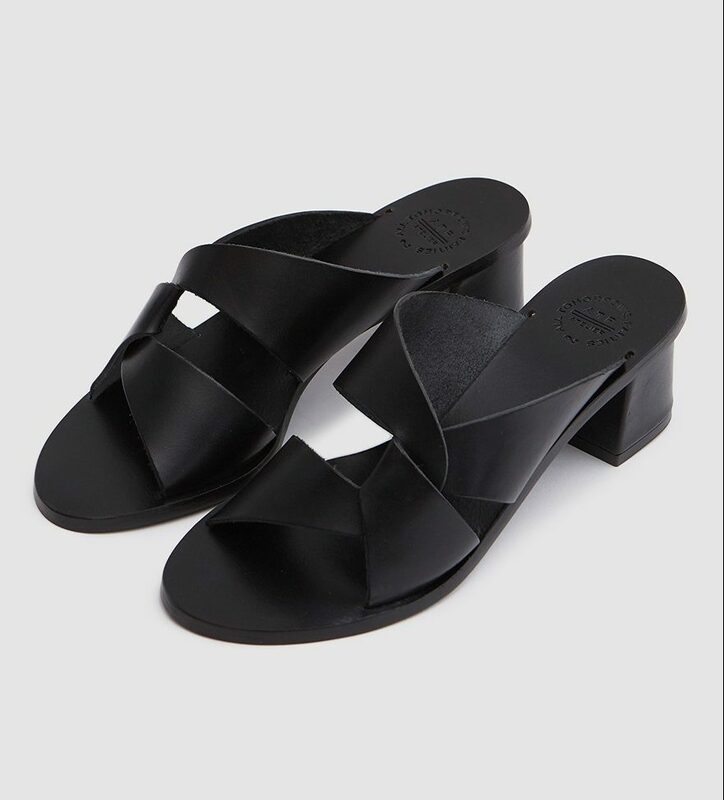 The queen of stylish lower-heeled shoes is Maryam Nasser Zadeh, and I found this excellent metallic sandal marked down on her site. 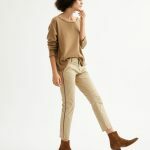 And this is Everlane trying—and pretty much succeeding—at doing Maryam Nasser Zadeh. 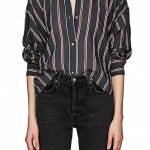 This braided number by Rachel Comey pops nicely in red, but comes in black too, for those of you looking for something slightly more versatile. 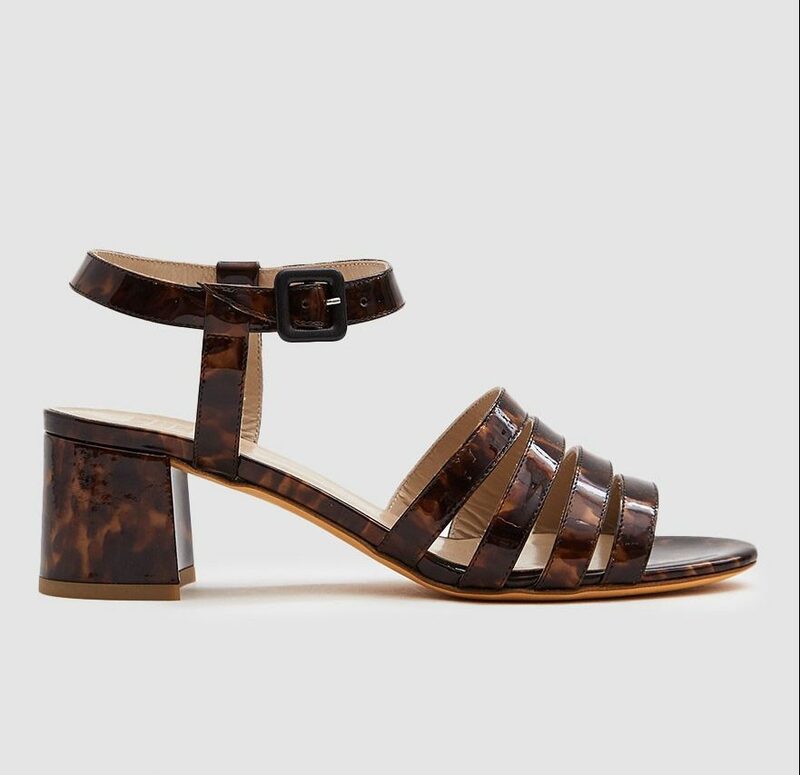 I don’t usually like brown shoes, but this tortoise sandal is really appealing. 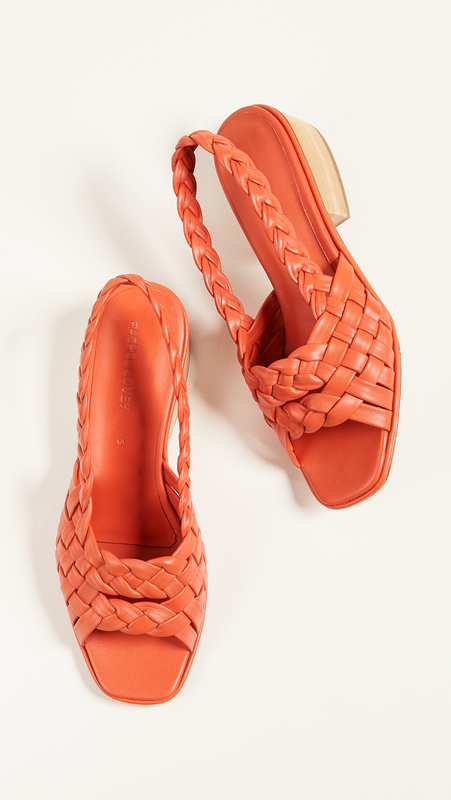 These woven mules are so perfectly summery—I’d wear them with an all-white outfit. I think that snakeskin functions as a neutral in much the same way metallics do: unexpectedly but brilliantly. 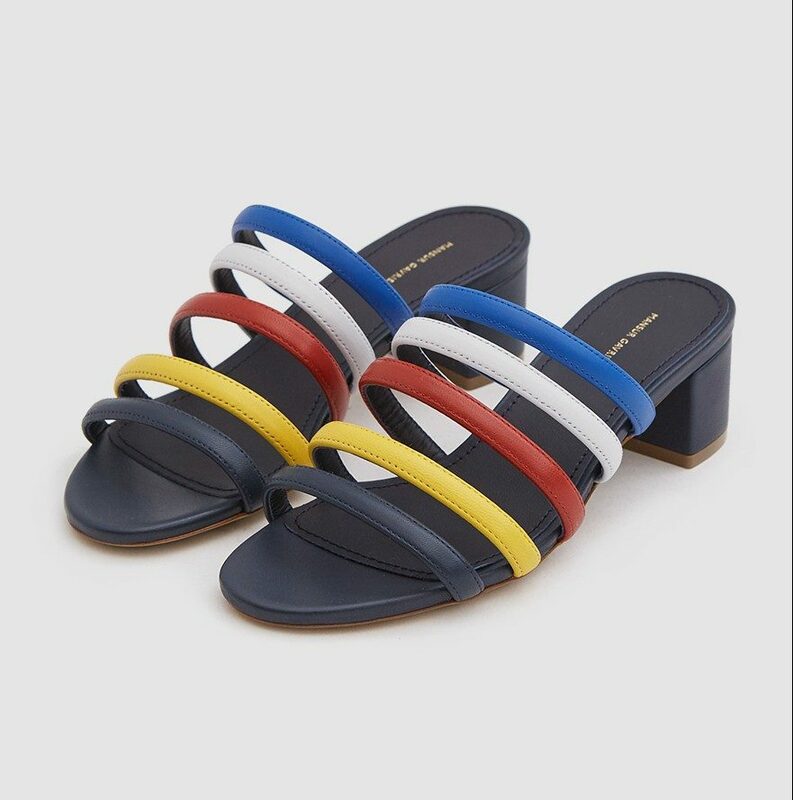 I get happy just looking at these rainbow-strapped Mansur Gavriel sandals. I feel like my mother really peaked, style-wise, in the 70s, and this looks like something she would have worn then. I could see myself walking all over creation in this pair: it just looks so damn comfortable. The asymmetrical crisscross on these is so smart. This would look so good with skinny black pants. 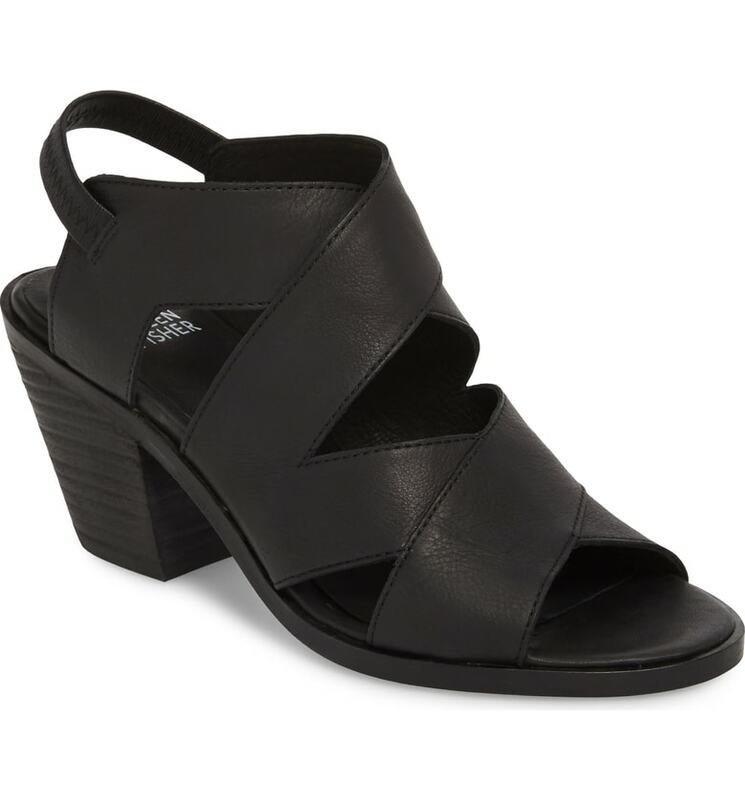 This knotted slide could be dressed way up, but would also look pretty great with your most worn-in jeans. 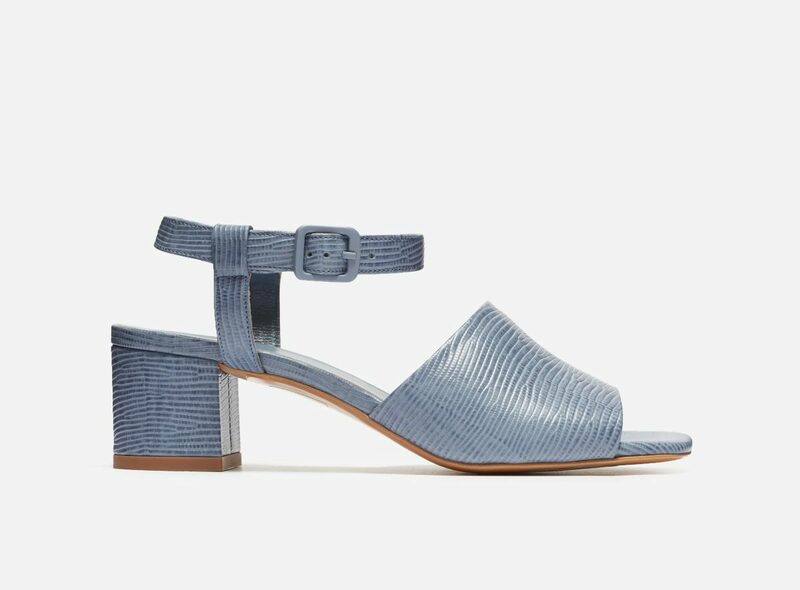 This is Madewell but looks like old-school Helmut Lang. Yes, I realize this is the third red shoe in this post. I’m having a red shoe moment. 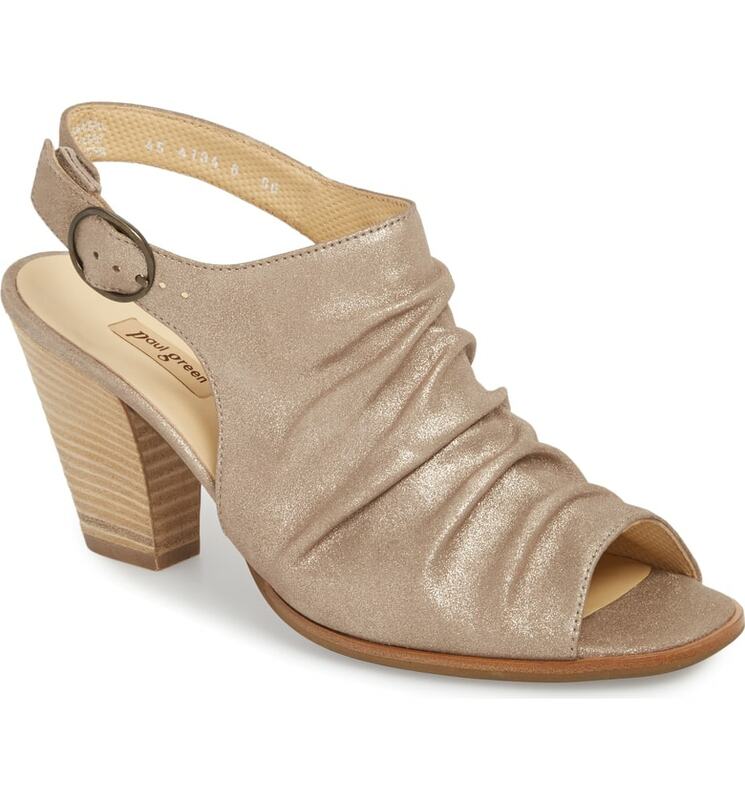 At three inches, this is arguably not that low a heel, but I love the subtle metallic sheen. 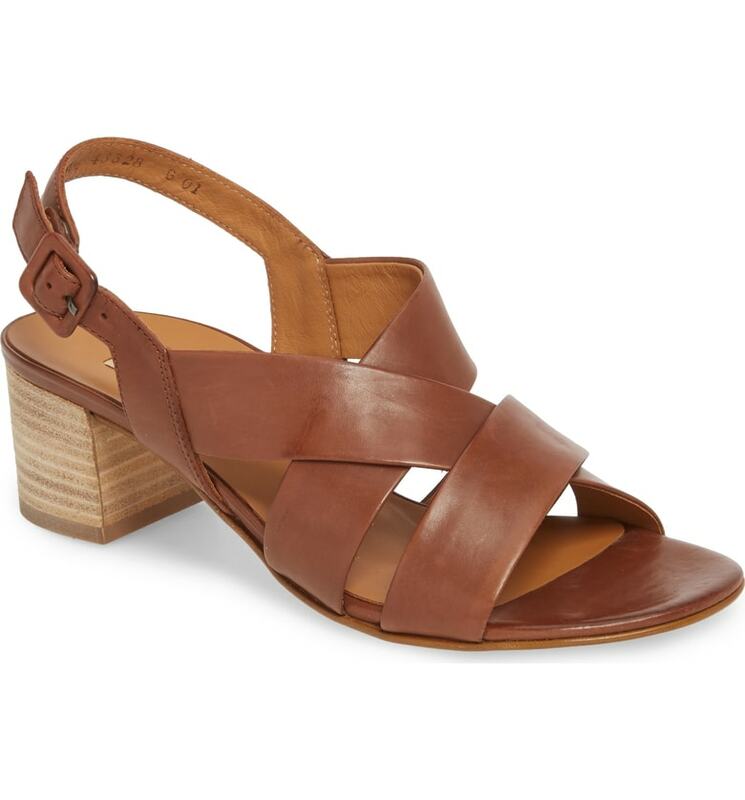 Very nice slection of low-heeled sandals, but you’re right: three-inch heels are not low. 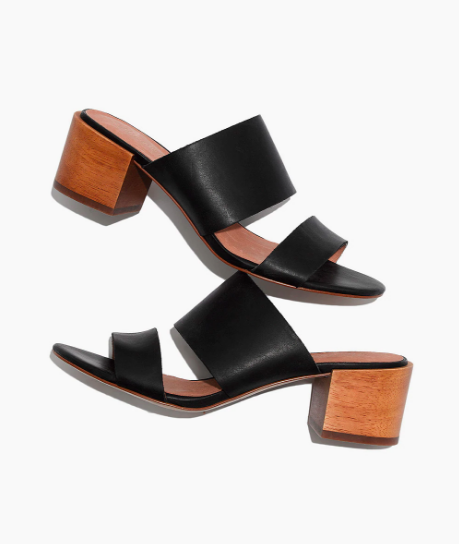 Very nice slection of low-heeled sandals, but you're right: three-inch heels are not low. Kim, I am SO excited that you reminded me of Famolares! My mom made me and my sister get those when we went on summer trips. I suffered over it then, I long for them now! I’m going to defend the 3” paul green choice because I own them because my sister told me to buy them because they feel like a lower heeled shoe. So comfortable I can stomp around in them for hours. And I wear them with everything. Oh, no. That’s not narrow. Trust my 2As on that. Oh, no. That's not narrow. Trust my 2As on that. Few things can take me back the way Famolares and Candies do! Famolares! 3″ platflorm, rainbow straps, worn with my Dittos, a baby tee and a puka shell necklace! Famolares! 3" platflorm, rainbow straps, worn with my Dittos, a baby tee and a puka shell necklace! They remind me of my grandmother! Summer footwear is so challenging for me! I love this blog and I love everyone on it. But man, I really hate these shoes :) They remind me of my grandmother! Summer footwear is so challenging for me! 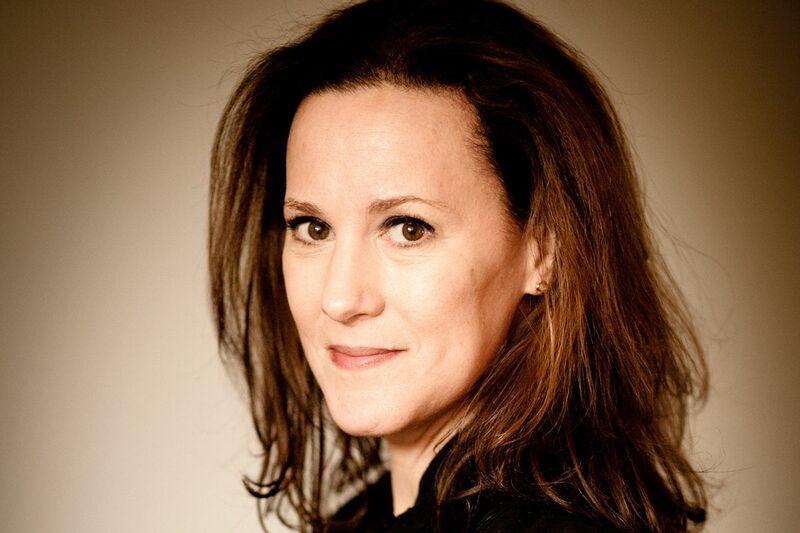 I used to work with Maryam in the 90s on music vids and commercials and she was always so lovely. And, of course, so very stylish, but in such an easy, natural way. So happy for her success! I love it when you do shoe parties!! I want those Zimmermann mules – would wear them into the ground. I love it when you do shoe parties!! I want those Zimmermann mules - would wear them into the ground. Seeing those Famolares made my tween self so happy. Going to get some as a present for myself! I wore the high-wedge Famolores with rainbows with my school uniform. Love! Man, I miss my Hi Ups! Hi There. After reading Kim’s description of Girls of a Certain Age I smiled and signed up. She described me. I stated my career in the fashion business working for Nordstrom wearing and selling Famolares. Now, I own the company that is bringing Famolare back to life. My guess is that the women who appreciate this blog are #FamGirls types. Even though there were lots of comments about this blog entry, most of you specifically called out Famolare. THANK YOU! We have worked so hard to make this happen, and you make it worth it! Hi There. After reading Kim's description of Girls of a Certain Age I smiled and signed up. She described me. 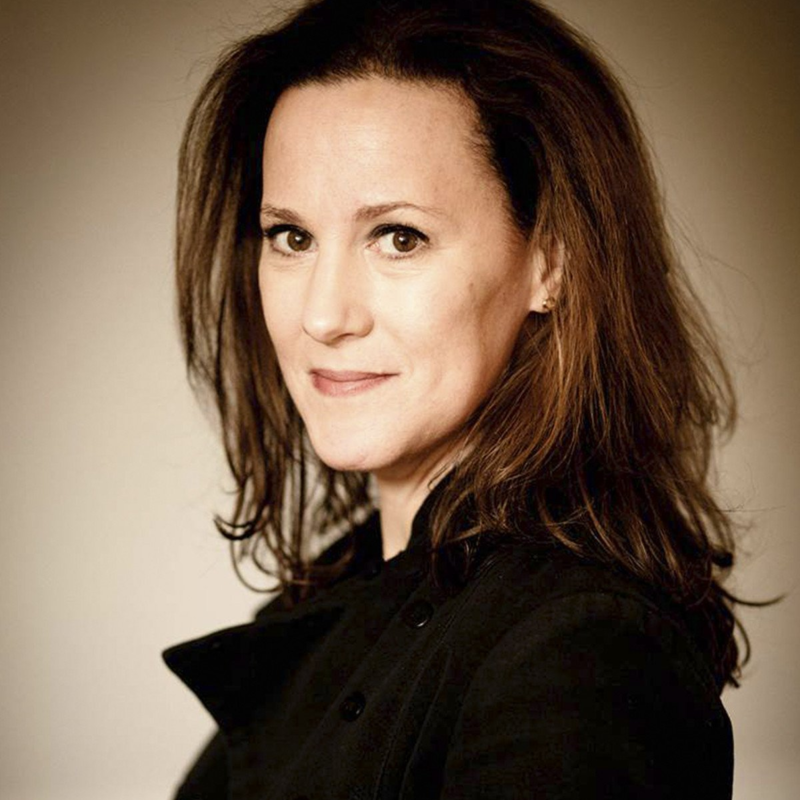 I stated my career in the fashion business working for Nordstrom wearing and selling Famolares. Now, I own the company that is bringing Famolare back to life. My guess is that the women who appreciate this blog are #FamGirls types. Even though there were lots of comments about this blog entry, most of you specifically called out Famolare. THANK YOU! We have worked so hard to make this happen, and you make it worth it!